Q: How old do I have to be to rent equipment and do I need a boating license? A: You need to be 21 years old to rent equipment. Any age to ride along! You are not required to have a boating license if over 22. We will go over all safety features with you, full instruction on waterways and rules, AND provide a map to help guide you through. Q: What if I have never driven a boat? A: No problem. It’s simple; like driving a car. About 60% of our rentals have never driven a boat before. We go through full instructions with you. Q: How many people can fit on a pontoon boat? Q: Where am I allowed to go? A: You are allowed to go anywhere in Pensacola Bay or Santa Rosa Sound. Basically, our boundaries are from Pensacola Pass to Navarre Bridge. Q: Are we allowed to bring coolers and food? What about Alcohol? A: Yes, you can bring whatever you like. Alcohol is allowed. Same rules apply on the water as the road. You will need a designated driver. Q: Do you have Parking? A: Yes, we do. A: Yes, Reservations are STRONGLY encouraged. 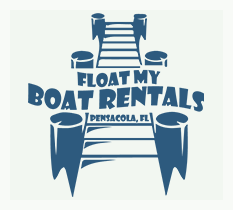 Since we are located on the Destin Harbor our boats book very quickly. Call (850) ???-????. Q: What features does your boat have? A: The pontoon boats are equipped with CD players, AM/FM radios, bimini tops, anchors, ladders, and life jackets. We do have special life jackets for infants and children at no extra charge. The boats are really nice and spotless; it’s like having a couch on the water.